Last week, in the wake of Netflix’s recent decision to cancel both Daredevil and Iron Fist (not to mention Luke Cage) just when both series seemed to be hitting their respective strides, a big fuss was made over a report that Daredevil was also the fourth-most popular series on the platform when it began streaming, something that made Netflix’s move seem particularly odd in retrospect. With Disney gearing up for a new streaming platform of its own, where new series set in the Marvel Cinematic Universe will live, it’s easy to work out the logic as to why the partnership between Marvel Studios and Netflix came to an end. Still, though, the fact that Netflix doesn’t make a point of publishing ratings data about its programming made it impossible to substantiate the claims about Netflix’s supposed popularity. 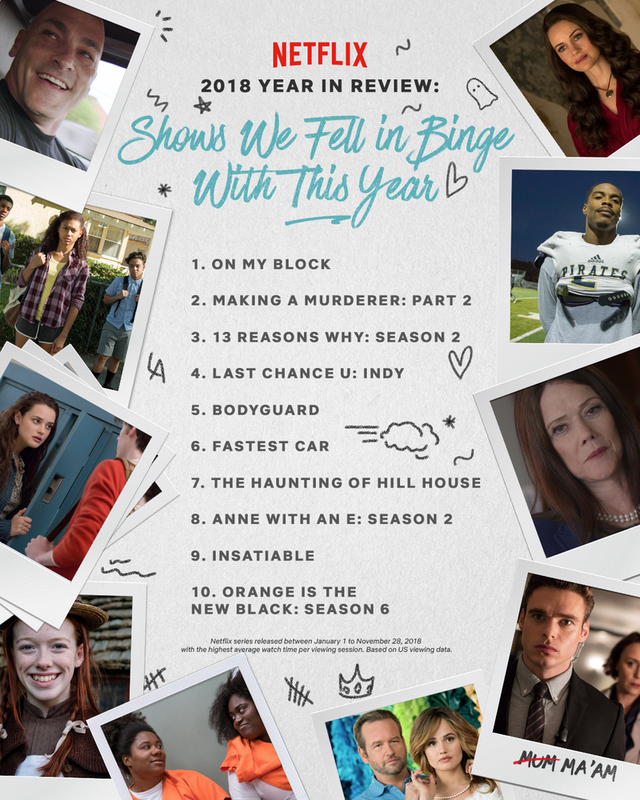 Yesterday though, Netflix published a 2018 list of “All The Shows and Movies We’ve Loved Before,” detailing the popularity of its top-performing content as measured by a number of, let’s say, “imprecise” metrics. While the report doesn’t include any hard numbers, its list of shows with the “highest average watch time per viewing session” is conspicuously devoid of any of the new seasons of Marvel shows that premiered this year. Netflix makes a point of indicating that the list’s rankings aren’t reflective of a show’s overall popularity, which makes one wonder what the point of publishing the list in the first place was, if that’s the case. But the Marvel shows’ complete absence from the report is telling in and of itself. Depending on how you look at it, either Netflix is owning up to the fact that a lot of people are really feeling the Marvel binge fatigue, especially after a handful of seasons of rather lacklustre solo series... or this could just be Netflix’s very polite way of acknowledging that its little corner of the MCU is truly coming to an end.